Photographers can fall ill with copyright infringement headaches (Ugh.) That being said, a new group of anonymous photographers banded together recently to stand against, what they perceive as, violations of their creative rights. But, the issue's far from simple. #NoFreePhotos is the trending hashtag started by roughly thirty, top fashion photographers in reaction to influencers, "allegedly posting... copyright-protected street-style photos to their own social media accounts and websites." They argue that by using photos without approval, fashion influencers essentially take the money photographers deserve and put it in their own pockets. However, pushback from said influencers emerged almost instantly. To them, they are merely exercising their publicity rights, more specifically their legal ability to determine how photographs will be used commercially. Furthermore, the influencers shed light on how photographers allegedly use images of them wearing fashion accessories without consent all the time - a legal infraction in itself. Both groups appear determined to fight for their respective causes despite the received opposition. Nevertheless, one thing they do agree on is wholeheartedly removing supposed "freebies" from the fashion industry so that everyone gets what they deserve. As one photographer puts it: "You can't pay your rent with a gifted Fendi bag." Which side's argument makes more sense to you? 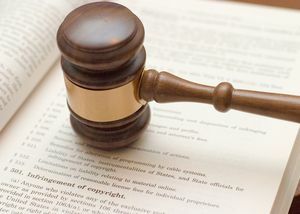 Check out the full article here on The Fashion Law for more details about the ongoing debate on copyright infringement!